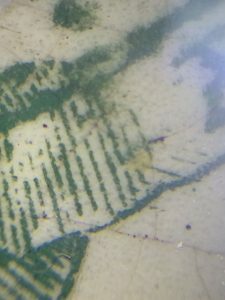 Using a clip-on microscope and our mobile phones will enable us to look at the stuff around us on a micro scale, and reveal the mini-landscapes within phytology. The workshop will begin with a guided dig and foraging session to select items old or new, natural or man-made to look at using our phones. 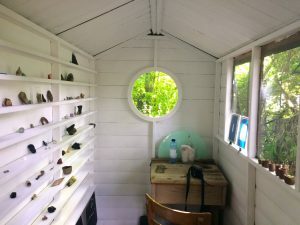 Using the photographic and video footage captured, we will print the close-ups on transparent film, collage our own ‘stained glass window’ (to be viewed on the Phytology shed’s round window), and we will upload the films to the project website.